Here's a classic choice that's perfect for any special occasion. 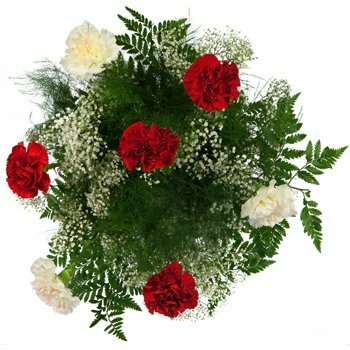 We've arranged stunning red and white carnations in a dazzling backdrop of verdant greenery and accented them with hints of baby's breath. Your loved one will be on Cloud Nine when you send the Cloud of Carnations Bouquet for Mother's Day, a birthday, or an anniversary.